THE tender from WR 4-6-0 No. 6984 Owsden Hall has been taken to the Buckinghamshire Railway Centre to be paired with fellow ex-Barry hulk and sister No. 6989 Wightwick Hall, in anticipation of a possible steaming this year. 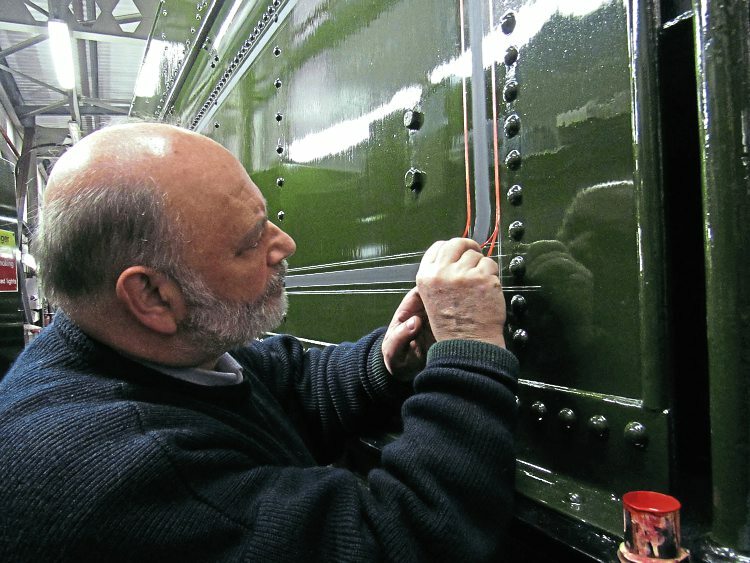 The 6989 Wightwick Hall Restoration Group said that its locomotive, which was built at Swindon in 1948 and was withdrawn in August 1964, is now 95% complete, and at a far more advanced stage than No. 6984. Furthermore, No. 6989 does not have a tender that will be ready in time, although the frame is completed. Wightwick Hall, which spent its working life in the Welsh borders, is waiting for an in-frame steam test on its boiler, and a spark arrester is being constructed. The out-of-frames hydraulic and steam tests have already been successfully completed and signed off by the boiler inspector. Once the boiler has passed the test, the pipework can be fixed in place and adjustments to other components can be made.